Ravindra V Rao is the Head - Commodity Research & Advisory at Anand Rathi Shares & Stock Brokers. Immediately prior to Anand Rathi Commodities, Ravindra was Heading Research at Motilal Oswal Commodity Broker Pte. Ltd. – one of the leading broking firms in India.His experience extends to precious metals, energy, industrial metals and agriculture markets across all instruments and related asset classes. He has worked on a wide range strategies including fundamentally driven commodity investment strategies as well as technical strategies. 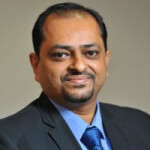 Ravindra is a prominent media speaker on commodities market. Ravindra has a MBA Finance from Mumbai (India) University.